Vibe Magazine Announces New BLOG Magazine and Internet Venture "The Most!" VIBE Going After those Bloggers with their own Blog! Vibe Magazine and the Vibe Media Group contacted us regarding the blogger hoax and said, "Rumors about VIBE Media Group filing for bankruptcy are completely false and have absolutely no merit. The source of this false rumor is a disgruntled blogger who didn't make VIBE's 50 Top Rap Blogs list posted last week. 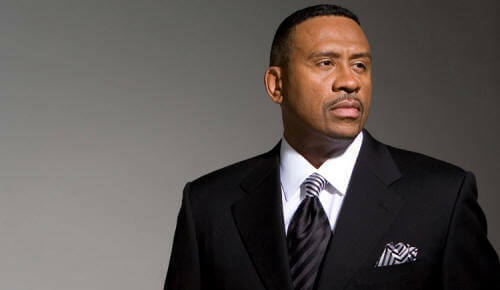 In fact, an announcement was made this morning about the launch of a new VIBE Media Group property, The MOST!. As our post stated yesterday, Vibe Magazine, daily newspapers, and magazines are facing a stiff challenge from the Internet. Have you seen the latest EBONY Magazine with Jada Pinkett Smith on the cover? You can barely pick it up without it falling through your hands because it's so thin. June 1, 2009, New York City—VIBE Media Group, the definitive voice of urban culture, is rolling out two brand new properties entitled THE MOST! and THEMOSTmag.com. It will exist both in print and online. 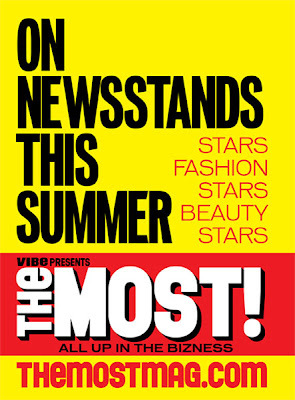 THEMOSTmag.com launches on June 1, 2009, and the premiere issue of THE MOST! hits newsstands nationwide on June 16, 2009. True to the brand’s motto “All Up in The Bizness,” THE MOST! will feature celebrity fashion, lifestyle, red-carpet moments, travel, and news. THE MOST! will also review multiculturally-oriented television, DVDs, films, and book properties. THE MOST! will fill a void at the newsstand by reflecting VIBE’s commitment to urban style, celebrity, beauty and culture through a more tabloid-themed publication. A purely lifestyle and celebrity magazine featuring some of the most trendsetting stars in the world, THE MOST! is “urban” with pride and mega style. “THE MOST! has an adventurous, fun spirit. Our goal with THE MOST! is to give our readers ‘the most’ of what they crave,” says Danyel Smith, Editor-in-Chief of VIBE/Vice President/Editorial Director of VIBE Media Group, and Founder of THE MOST! VIBE first published tabloid issues in January 2008 and January 2009 with much success. Similar in design to THE MOST!, the January 2009 issue featuring Chris Brown and Rihanna has been the highest-selling issue to date of 2009, and the January 2008 issue featuring Kanye West was VIBE’s second-highest selling issue of 2008. "We are excited to launch a fun, innovative media vehicle - both online and on newsstands. We believe there is a sweet spot in the consumer and advertiser marketplace for THE MOST! Advertisers across many categories are anxious to see this debut and we are proud to have leading brands from automotive, telecom, personal grooming and fashion industries in our launch issue," says VIBE Publisher Edgar Hernandez. THEMOSTmag.com will function as a blog. The launch plan for print distribution of THE MOST! is twice a year at newsstands only (July 2009 and January 2010).